WELCOME BACK. The scripture says: Redeeming the time, because the days are evil. The question is are you using your most valuable asset wisely or you are squardering your time for something that doesn’t count in your life? Let me tell you one of the secret that changed the life of John F Kennedy the 35th President of the United States of America. He was known as a man on the move. Whatever he was doing, where ever he was going, he always seemed to be in haste toward something else. He never gave the appearance of having time to spare. He was constantly enroute, in action, on the move, giving necessary time to people and projects, but continually on his way to the next priority. That attitude changed his life drastically. Until you value yourself, you will never value your time. Until you value your time, you will never do anything with it. 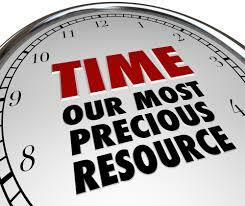 Time is a priceless commodity and precious asset that need not be wasted. One thing you can’t recycle is wasted time. The more skilled you become at saving your time, the happier and more confident you will feel. When you have regard for time in any of your endeavour in life, you will have a stronger sense of personal strength and feel in charge of your own destiny. Benjamin Franklin said: “Do you love life? Then do not squander time, for that’s the stuff that life is made of.” The starting point of redeeming your time is for you to acknowledge the fact that time management is really life management. It’s one of the way you take care of your most precious gift. Once you master this skill as I do, you will be ready for a lifetime of increased personal efficiency and high achievement. You will become a new person, with a new way of looking at life. You will take complete control over your life. Spend your time well. Your time and how you use it is important. Examine your schedule. Learn to budget your time and manage it well. Remember, the quality of your life is largely determined by the quality of your time. Read the whole of it, completely helpful. Thank you! I appreciate your comment… I am also grateful you did. See you again for another interesting and soul uplifting spiritual principles.. bye! It’s my pleasure dear friend, your articles are very useful. God bless you. I am grateful… See you again for another interesting and soul uplifting spiritual principles Bye For Now!! Time….it is the only thing in life that we can not catch up. Could i ask for a help please ? Thanks so much for your comment… I am grateful. See you again for another interesting and soul uplifting spiritual principles.. Bye For now.